There are certain names in history that are irretrievably connected with certain places. Michelangelo and Rome, Joyce and Dublin, Fitzgerald and New York, Toulouse-Lautrec and Paris, among many others, come to mind. Ties between these names and places are strong, and you find it virtually impossible to imagine one without the other. Places have inspired these individuals and filled them with creative force. And in return, people made the places eternally famous. 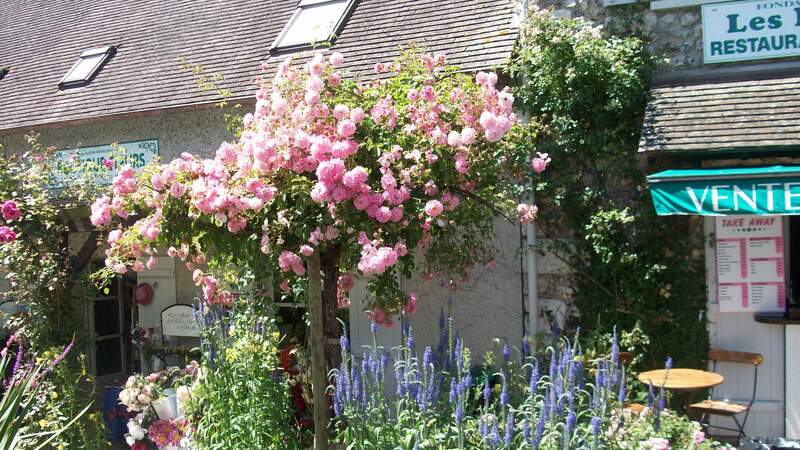 One such connection is between a great French impressionist painter and a small French village: Monet and Giverny. The symbiosis of the two created magic that is visible in the art of the man and the feel of the place. As a former art history student, I was immensely happy when I got the chance to visit the place that inspired some of the most beautiful paintings in art history. 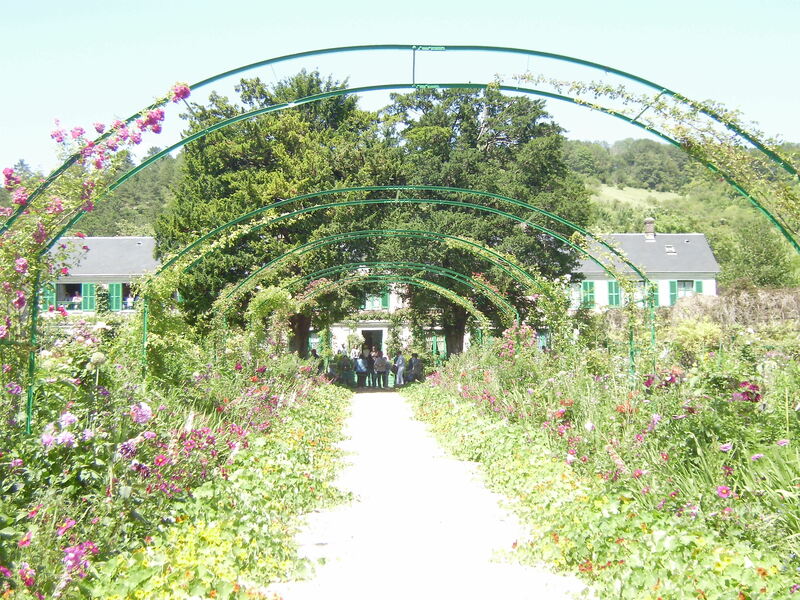 The experience was magical and the description, despite of the sappiness, should be appropriate: it was a hot summer day, and Giverny was blooming with beautiful vivid colours – greens, reds, pinks, whites, purples. 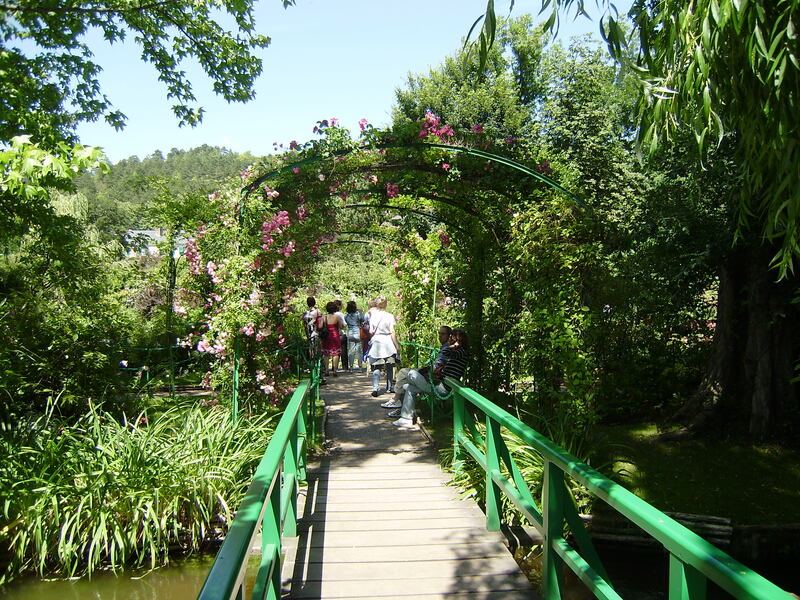 On such day and under such sunny sky the village resembled a place from a fairy tale, completely dedicated to celebrating the connection between art and nature. 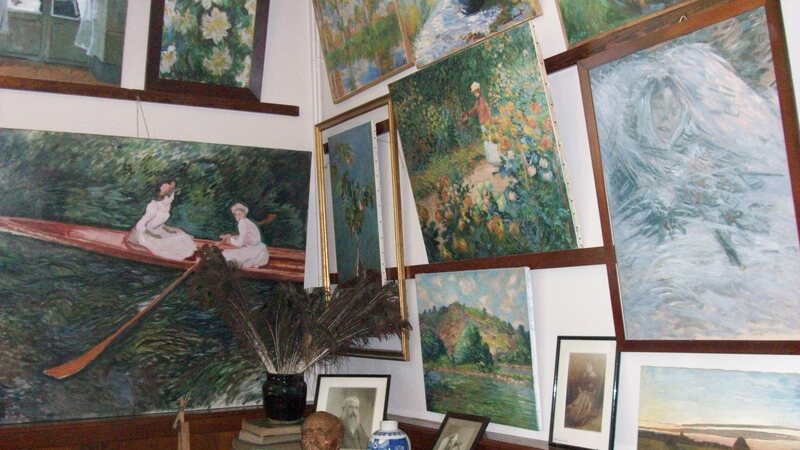 After noticing the small village of Giverny during one of his train rides, Claude Monet decided to move there and rented the house and its surroundings in 1883. He saw the area as a place where he could create and experiment with new painting techniques. 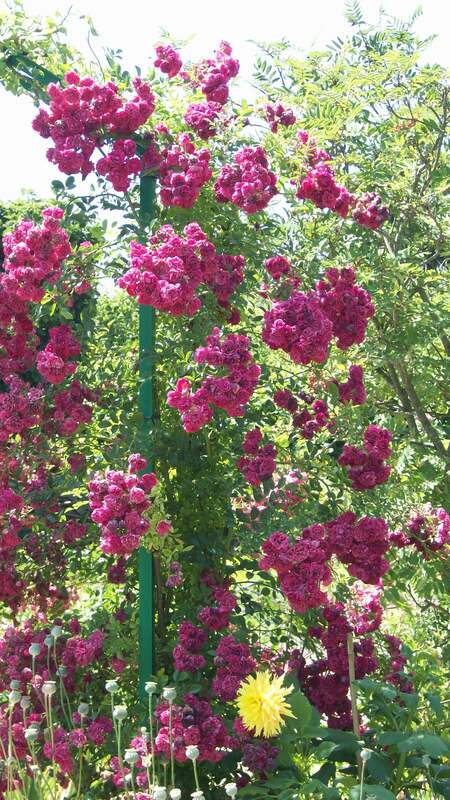 He moved to the pink house and worked tirelessly on the creation of a ”perfect” garden, filled with flowers and plants that would grow and bloom throughout the year, allowing him to paint regardless of the season. 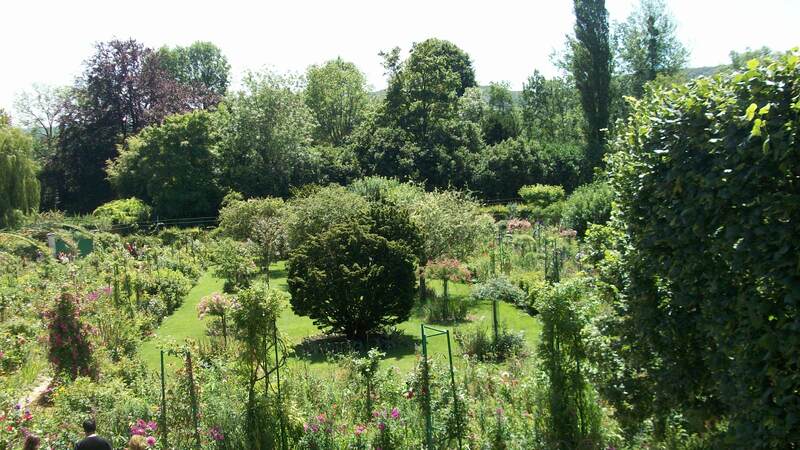 The rest is history and Giverny became the inspiration for some of Monet’s most famous paintings. 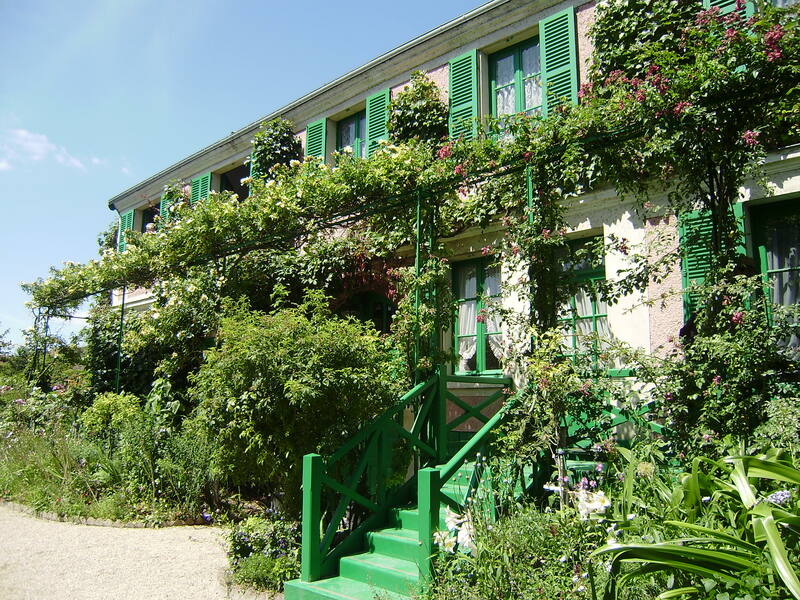 Today Monet’s house and gardens are the village’s main tourist attractions, swarming with visitors from all over the world. 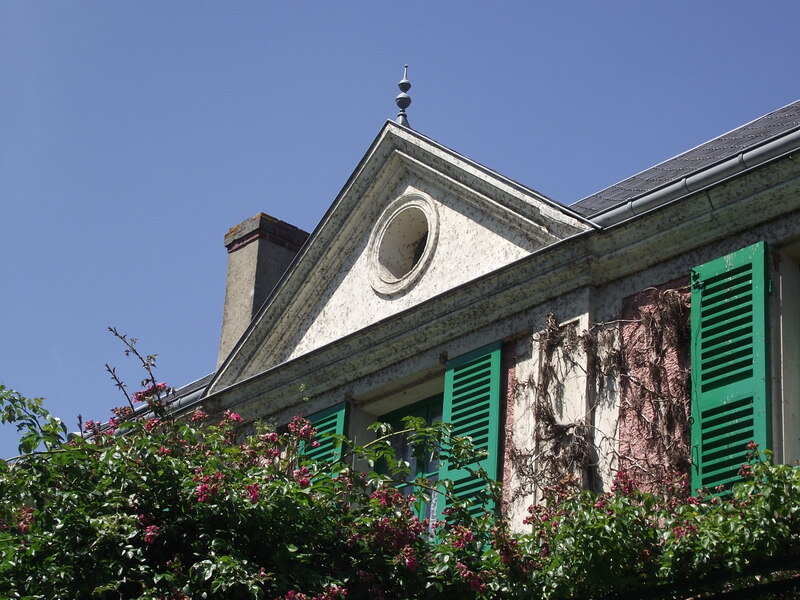 The house is a charming place with bright rooms still furnished and decorated in the manner of the end of 19th century, displaying period furniture and arrangement, filled with reproductions of Monet’s paintings as well as family pictures. They are intimate and private, as if you came to visit the old painter but have just missed him. Special features of the house are beautiful views from the windows onto the gardens. You can imagine how inspired the painter must have been to wake up every morning and look out onto the gardens: shapes, colours, images and details must have presented an inexhaustible source of inspiration. 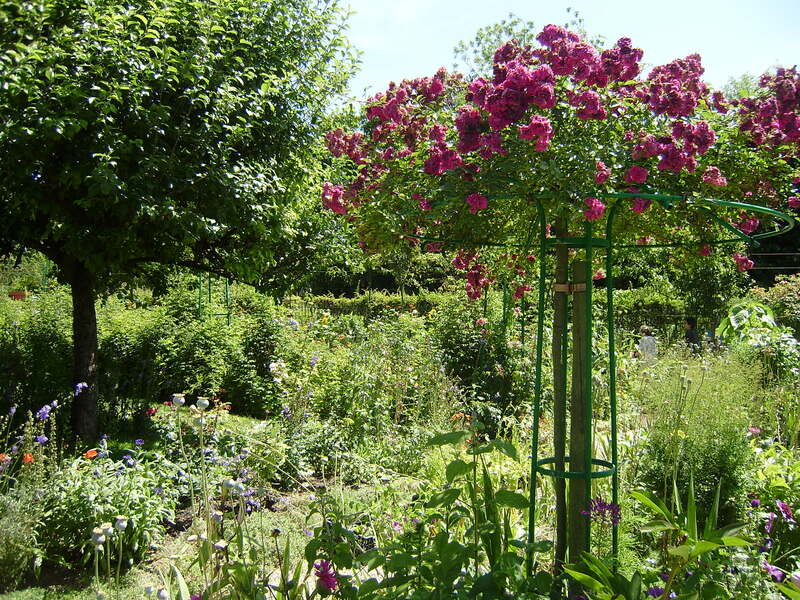 You could walk around Monet’s gardens for hours, marveling different kinds of plants, resting on benches or taking frenzied photos overwhelmed by scenes and compositions that you feel the need to capture. In order to accept tireless streams of tourists, a guided path had to be made around the gardens, pointing the visitors in circular directions, allowing them to see different aspects of the gardens and some of its most famous areas, such as the lily ponds and the Japanese footbridge. 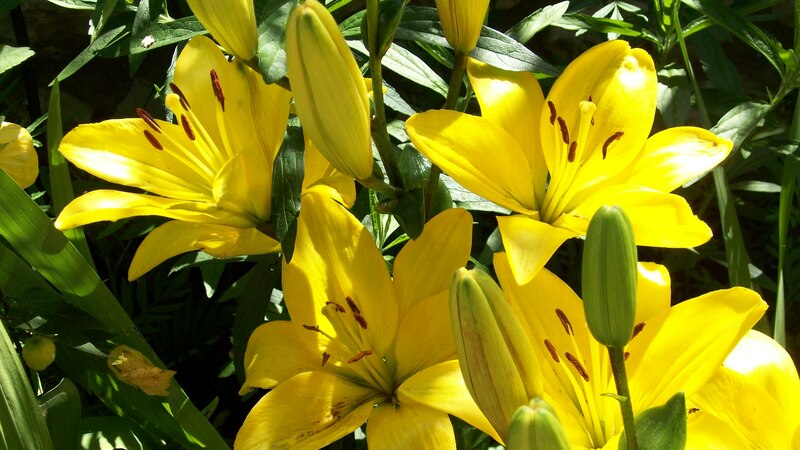 The path also gives you the chance to observe volunteers taking care of the gardens, cleaning and arranging the plants, handling them with utmost care and respect. Because in a place like this, nature is the star, and your behavior towards it has to be appropriate. Long lines of visitors waiting impatiently to have their picture taken at the most beautiful points in the garden ruin the magic a little. 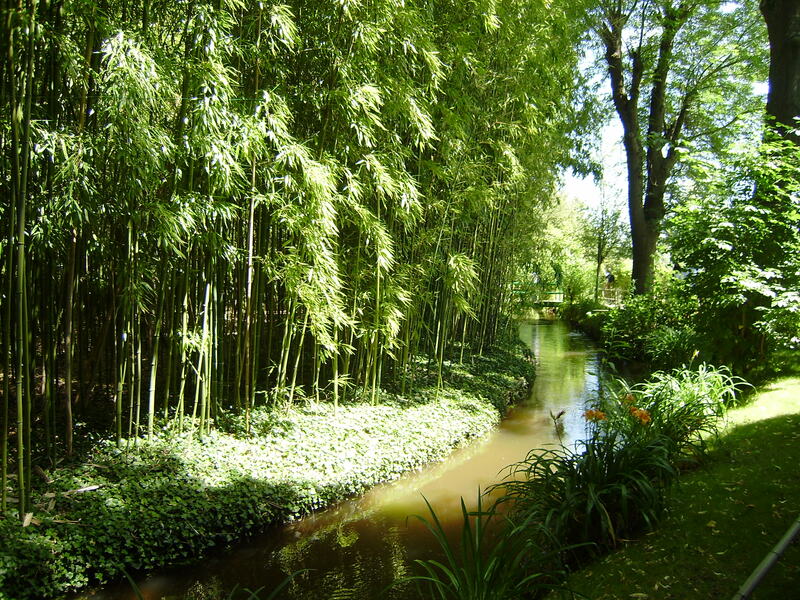 However, if you manage to look past the tourists, there are still areas of the garden that you can escape to, that are quiet, contemplative and inspire imagination, areas where you can pause and think about the Monet and his work, infinite talent and creativity. The atmosphere and beauty of the place are quite dangerous, because they may make you think that, in a place like this, anyone could feel inspired and become an artist. Exit from the garden takes you through a large gift shop filled with reproductions, posters, umbrellas, books and postcards with Monet’s images and details, and you walk around wanting to buy everything. Because you know unconsciously that the pictures you took with your average camera among the hundreds of other people ruining your composition just can’t do justice to where you’ve been and what you’ve seen, and you have to take it as a mission to show everyone back home how beautiful Giverny is. And also, because you feel the need to leave the village carrying tangible images and memories with you: as if the postcards, notebooks and key chains shaped as water lilies that you buy will enclose the parts of the atmosphere and the feelings. If only!